Today I will post about a simple tip, it might seems a little silly but it has been helpful. How many times you need to ping back and forward between objects during a troubleshooting ? 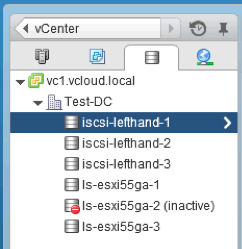 Finding the VM, then what host its running on, check it’s datastore, go back to the host for checking what else VMs would be impacted. 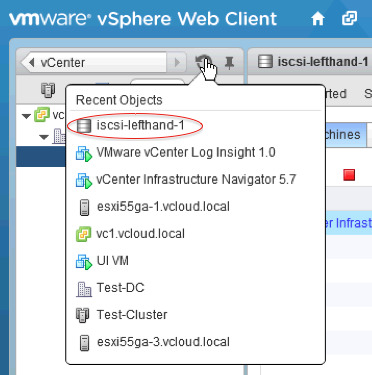 If you are a smart guy already using the vSphere Web Client to manage your system, you already realized it’s not that fast and dynamic navigation as it was with the C# client. When you click on it, you will see a list of the recent objects you managed, making it easier to go back and forward. Just click on the object and you will be redirected to it.